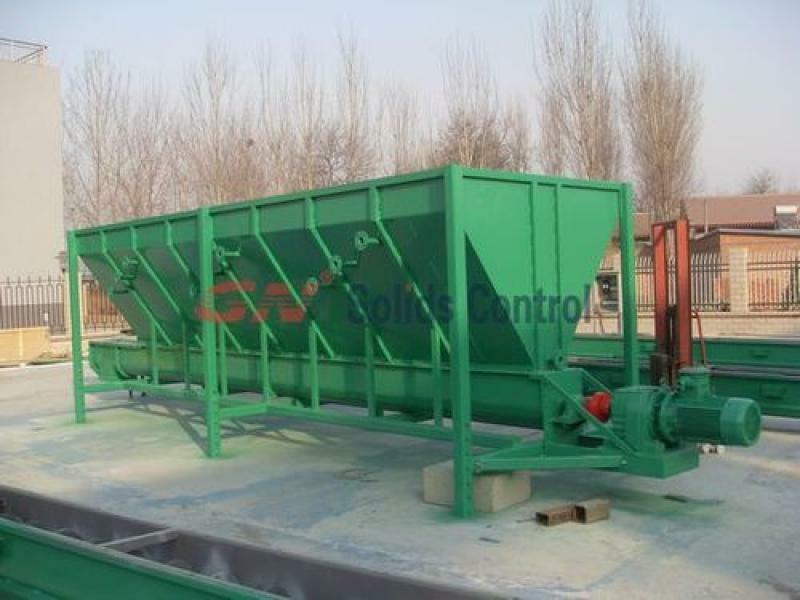 High G shaker is a kind of shale shaker utilize high G force used in waste management field. 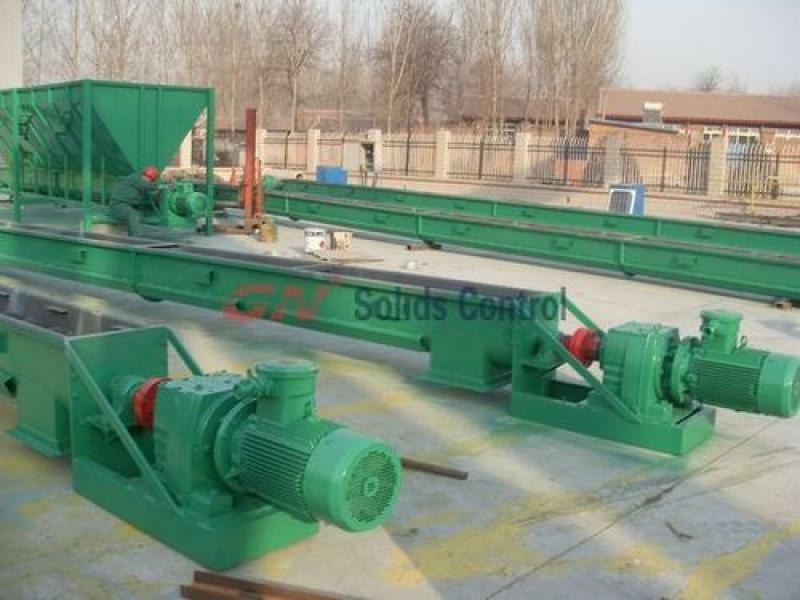 It is adapt high G force from 7.5 to 8.0 G.
A set of screw conveyor system collect drilling solids separated from shale shaker, desander, desilter and centrifuge,and then transfer and dump to high G shaker for separation. During this process, clean mud falls into slurry tank under high G shaker, drilling cuttings dump to cutting box and move away by track for further treatment. Clean fluids from high G shaker transferred to a waste management high speed centrifuge, fine solids above 2~5 micros will be moved away after centrifuge process. 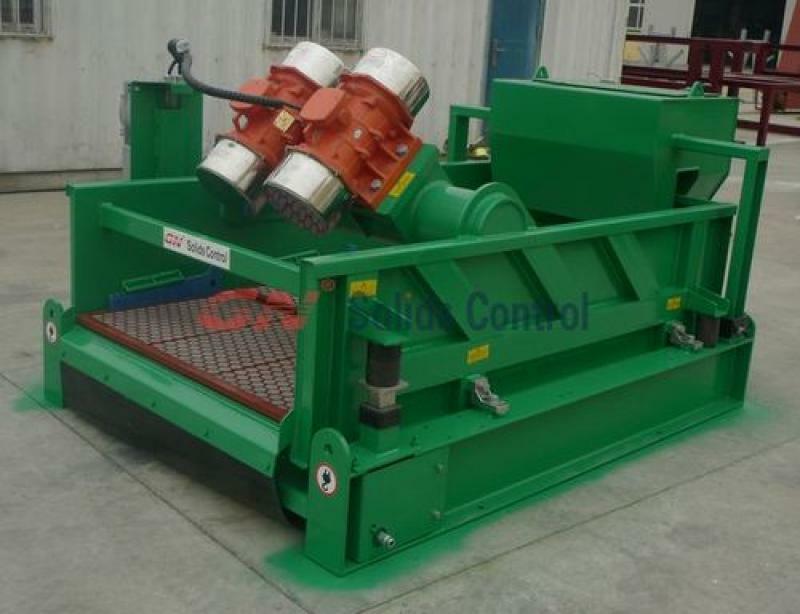 Discharge auger is a kind of transfer equipment used to move materials from solids control equipment to waste management treatment. Normal Duty – Usually for Non-Abrasive materials with up to 45% trough loading. Heavy Duty – For Abrasive or Non-Abrasive material with up to 30% trough loading. Extra Heavy Duty – Built for applications where special metals or coatings are not required. 2 options of auger Diameters: 14’’ , 18’’. Flexible in length: 12ft/ 24ft / 36ft / 48ft. Users have interchangeability of the sections of the auger conveyor. It is easy to increase or decrease the length of the Auger by adding or removing the section. Drilling cutting auger is one of the most important equipment for waste managment system. There are usually at least 2 cutitng auger used for waste managment system. One is lay in level to collect drilling cuttings from solids control equipment, like shale shaker, mud cleaner, barite recovery centrifuge. Another cutting screw auger usually lay in slant to collect drilling cuttings from the frist stage in level auger, and transfer it to waste treatment equipment, like high G shaker, High G dryer, or waste management centrifuge. Speed of cutting waste screw conveyor should be average. Too fast, it will waste material or make waste treatment equipment like high G shaker, centrifuge,cutting dryer overload. If speed too slow, upstream equipment cannot get enough feeding. 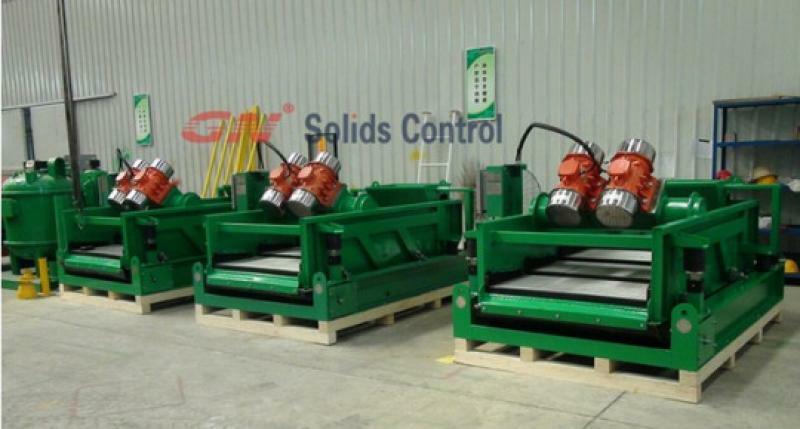 GN cutting waste scew conveyor with average speed 50 or 60 rpm. GN can also make customised speed per user special requirements. And length of screw conveyor transfer can vary from 12ft to 48ft max. GN have standard 12ft length for each section. Users easy to change length per different jotsit situation.